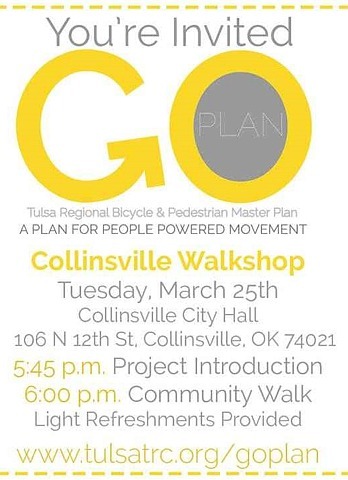 Join the GO Plan team as we visit Collinsville on March 25th for a "Walkshop", or walking workshop! Learn about regional bicycle and pedestrian planning, participate in interactive web exercises and walk your community to see what updates have been made or what improvements are still needed. The High School Academic Team would like to give a HUGE shout-out to the community businesses and organizations that have made donations for our trip to the National Quiz Bowl! We have received donations from Collinsville Family Pharmacy, RCB Bank, Schultheiss Insurance, and the members of VFW Post 3077! Thank you so much for helping our students live up to their potential! We are still short of our fundraising goal and need to have our funding in place by April 30 for our trip in May, so it is not too late to make a donation. The community support shown to our school and students makes it great to be a Cardinal! 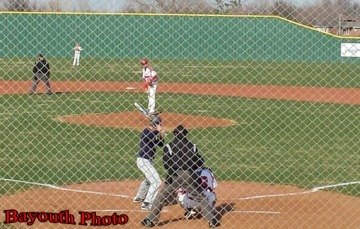 Collinsville beat Ponca City 2-1 here Monday. Zac Guest & A.J Austin threw a combined No Hitter. Conner Crutchfield hit a 2 RBI double in the bottom of the 3rd to put Collinsville on top to stay. The Collinsville tennis boys had an impressive showing at the Pryor tournament Thursday. Our singles players dominated. William Reynolds placed 1st and Nick Stavros placed 2nd... Both doubles teams fought hard. Jeremy Arnold and Zac Pasco placed 4th. CHS Girls tennis went to Pryor yesterday for our first tournament. They did outstanding. #1 Singles : Sonia Rivera was the consolation champion. #1 Doubles: Taylor Townsend and Cori Ingram placed 3rd. #2 Singles: Ravyn Murphy didn't place, however, this was her very first tournament. She had some very close matches and played great. #2 Doubles: Laishen Her and Nicole Clymer placed 3rd.